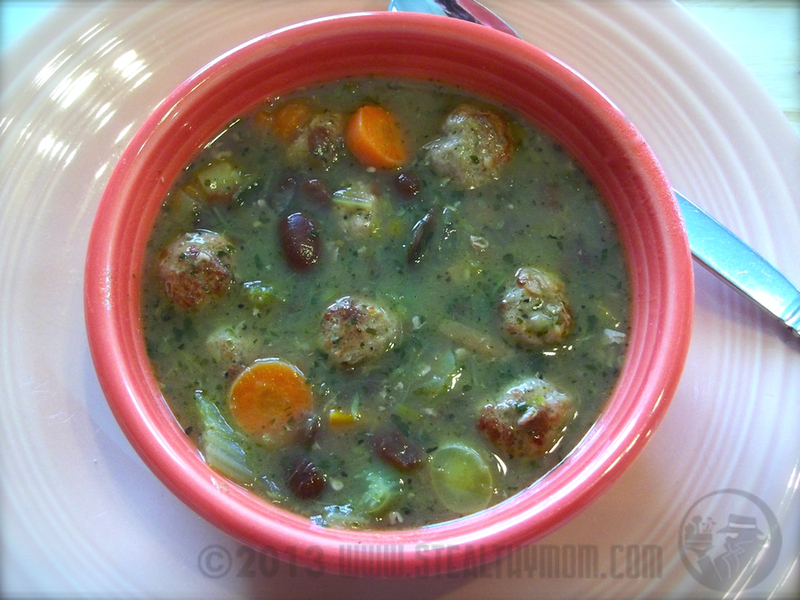 Inspired by a traditional Italian soup, a bowl of Meatball Soup can be a meal in itself. Big bites of vegetables and beans and tiny little meatballs in a rich vegetable broth are simple yet satisfying, warming you up on a chilly day. Start the soup at least two hours before you would like to serve it. To your soup pot, add the olive oil, chopped onions, celery and carrots. Soften the vegetables over low heat, then add the parsley and water. Simmer for an hour, then add the beans. Meanwhile, make the meatballs. (To save time on a future meal, make a double batch and freeze the extras.) Preheat the oven to 375F. Mix the pork, parsley and pepper. Form tiny meatballs and place them in a covered casserole dish. Bake for about half an hour, then add them to the soup. Simmer for at least half an hour after adding the meatballs. Shortly before serving, season the soup with a bit of salt. Add half a teaspoon at a time, stirring and tasting between additions. A teaspoon for the entire pot was enough for us. *Typical ground pork from a grocery store will be "mystery meat," and could have an off-flavour. If you cannot find pork from a small, local farmer use ground turkey or chicken instead.